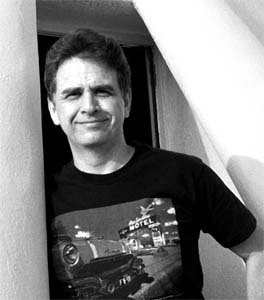 Jerry McClanahan, author and artist. 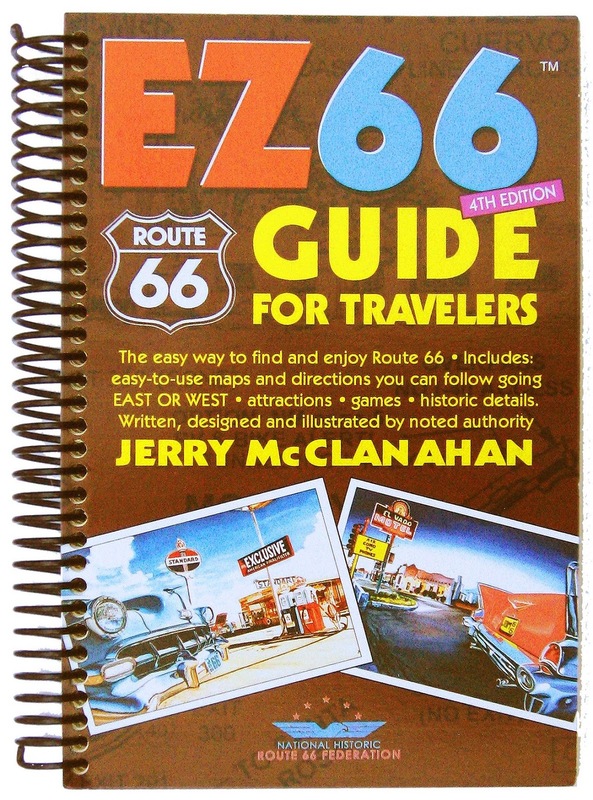 That's what 'EZ66 Guide for Travelers' by Jerry McClanahan offers. This post is part RV Short Stop and part book report. "Although over 80% of original Route 66 is still easily drivable, it is not on ordinary maps and signage is spotty," states the book blurb on Amazon. "The 'EZ66 Guide For Travelers' is the answer to finding the Route. The 4th Edition has many pages updated. This is the ultimate guide for finding and exploring the Route whether you're driving from the WEST or the EAST. Its maps and directions are comprehensive yet easy to follow. " Many of the pages of this travelers' guide are illustrated with original artwork of "The Main Street of America" by artist and author Jerry McClanahan. Paintings, prints and signs line the walls of McJerry's Route 66 Gallery. 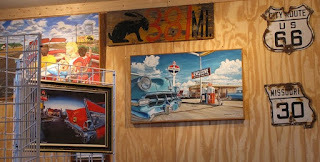 On his Website, McJerry66.com, Jerry writes that he welcomes visitors to his gallery just off Route 66 in Chandler, Okla.
"Now that spring is upon us, I will start sticking my little OPEN sign in the yard more regularly. But if you drop by, and the gallery looks deserted, give me a call anyway," Jerry says. "I don't keep regular business hours, so I can be free to travel or do errands. But that also means I can open up any time I am in town. Including weekends if you happen to catch me. But not at 3 am please!," he pleads. Also enjoyed the National Route 66 Museum in Elk City, OK. It's right off Interstate 40. Thanks for the new place to visit.